As summer approaches and grills everywhere are fired up, one of the things I look forward to most is sausage; I consider myself a connoisseur. Having tried sausage styles from all over the globe, there definitely are some that I find better than others. I recently tried Dearborn Brand—a Michigan based family business that has been perfecting their products since 1946—and I was hooked instantly! Their extensive line of products is a must try. I discovered Dearborn’s sausages at a tailgate… surprise, surprise, right? A fellow tailgater picked some up at his local supermarket in Michigan and, thankfully, he shared with our group of Penn State fanatics one afternoon at Beaver Stadium. That’s the beauty of tailgating, everyone brings something that they enjoy in hopes of spreading the love to fellow tailgaters. Dearborn Brand is a family owned company located in Dearborn, Michigan. Hungarian immigrant Victor Kosch started the company almost 70 years ago, and his son and grandson run the business today. There are about 200 stores throughout Michigan, Ohio, Illinois, and Canada that carry Dearborn Brand. 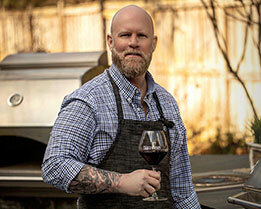 Their products are also served at various hotels, restaurants, and sports stadiums in the region. 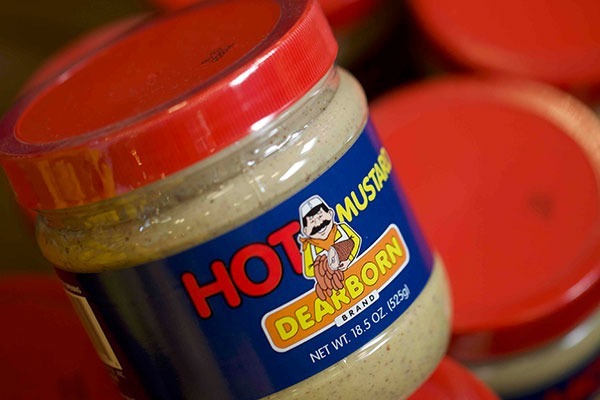 Aside from their sausages, Dearborn Brand also makes condiments (their Hot Mustard is bomb! 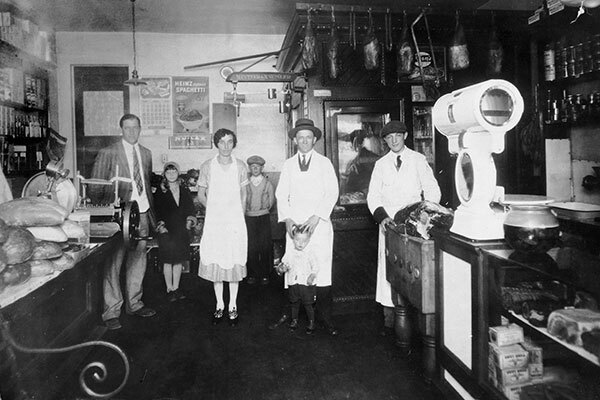 ), franks, flavored jerky, and their Famous Glazed Spiral Sliced Ham. What I love about Dearborn’s sausages is the clean flavor. These links taste like premium meat—not a bunch of filler. The smokiness is from actual smoke and not some smoke-flavored additive. I also love that these sausages work in a variety of preparations. I have smoked, fried, grilled, and even baked them in the oven. They’re great simply cooked, sliced and served as an appetizer. If you want to take it a step further, these flavorful sausages also taste great on a pizza, in an omelette, or on a bun with your favorite condiments. The possibilities are endless! 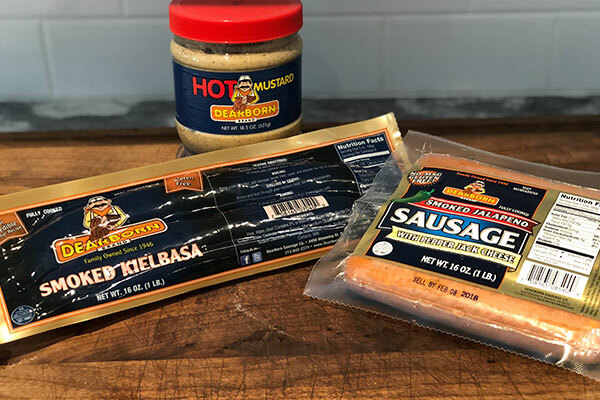 My personal favorite is the Polish Kielbasa; I love to throw it on the smoker, slice it and dip it into Dearborn’s own hot mustard. Talk about a little slice of heaven! If your local supermarket sells any Dearborn Brand products, give them a try! If not, you can always order it through their website.